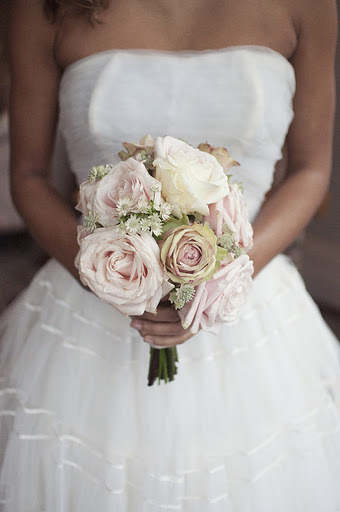 Advice to a bride when going to her first flower consultation. Bring a scrap book or tear out photos you have seen in magazines or images on blogs. 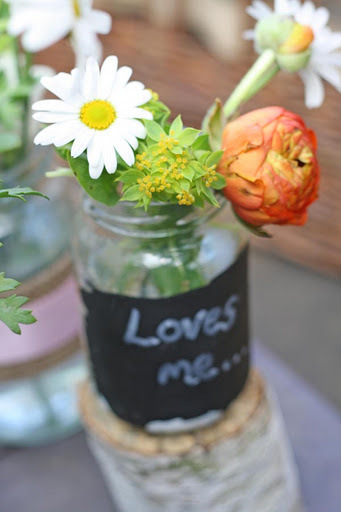 Let us know flowers you hate and specially those you love, be open about your budget and your florist can work with you. 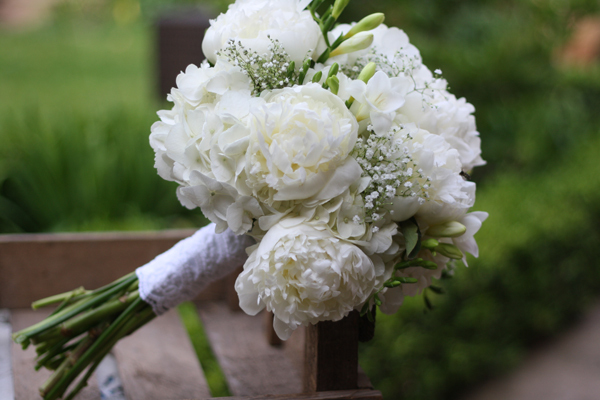 Don’t forget button holes make a statement with these they don’t all have to be the same. 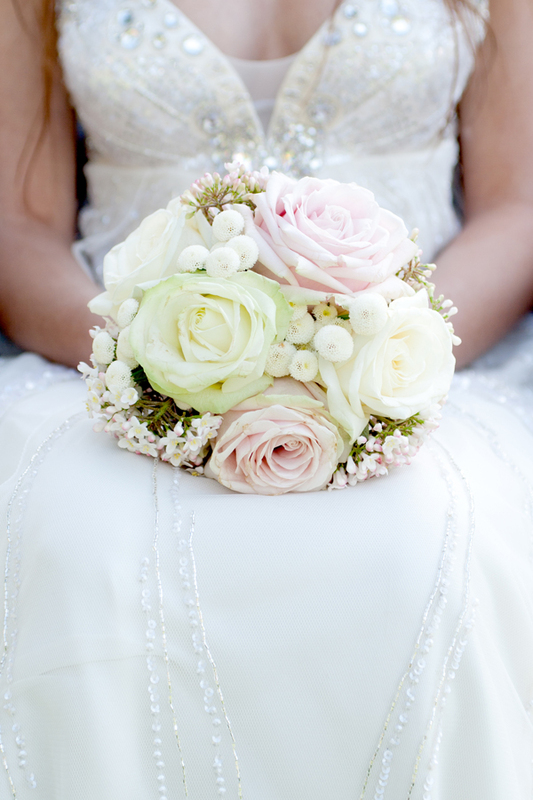 Make sure you chose a florist whose style you like, are happy to work with and have confidence in. Bride wanted a totally non-corporate look for her special day. We used a mix of vintage and spray roses, delft blue hydrangeas, agapanthus, a touch of eucalyptus, a mix of herbs and a sprinkling of love. The vintage look started with the bus bringing the guests from church, drinks from ’Audrey’ the vintage caravan, yards of bunting prepared by the bride’s family and pastel coloured pashminas for the female guests. 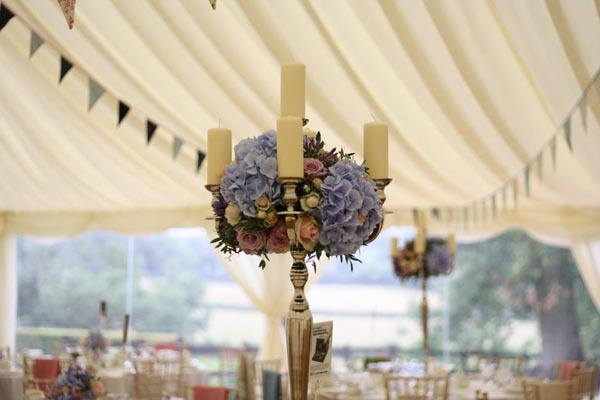 The marquee had tall candelabra with a just picked arrangement including vintage roses, agapanthus and hydrangeas. 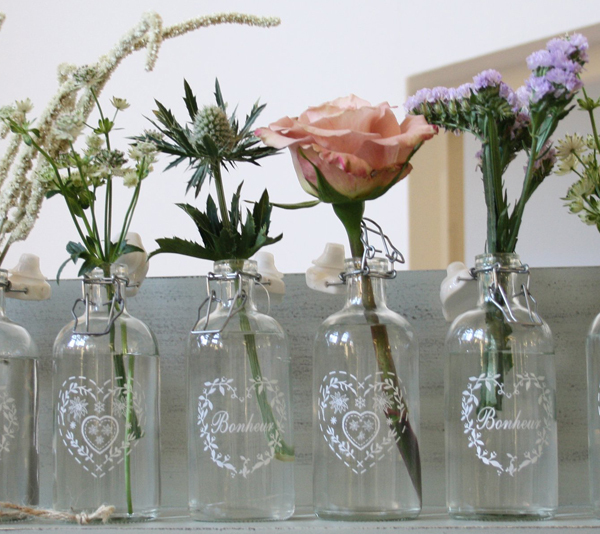 The bride had collected vintage crystal biscuit barrels which we filled with blooms and herbs. 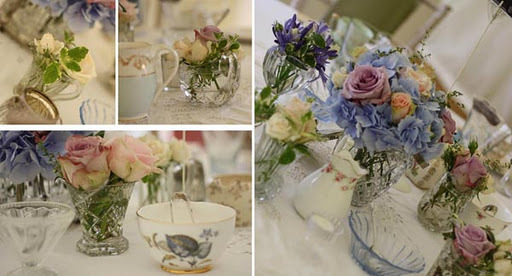 A vintage tea party was served and Vintage 78 Gramophone DJ played a hand selected vintage selection on the terrace. 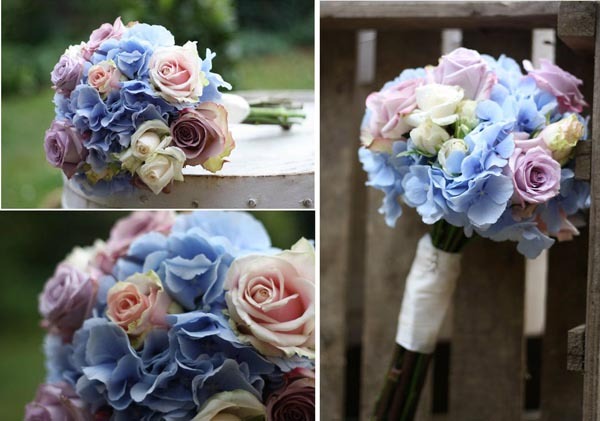 What flowers did you have at your own wedding? Thank you for the day. 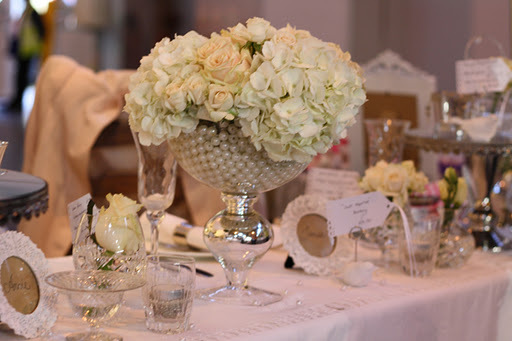 Passion for Flowers offer a complete service from church or venue flowers, bridal party flowers, table dressing and wedding favours all beautifully created with flair, passion and attention to detail. 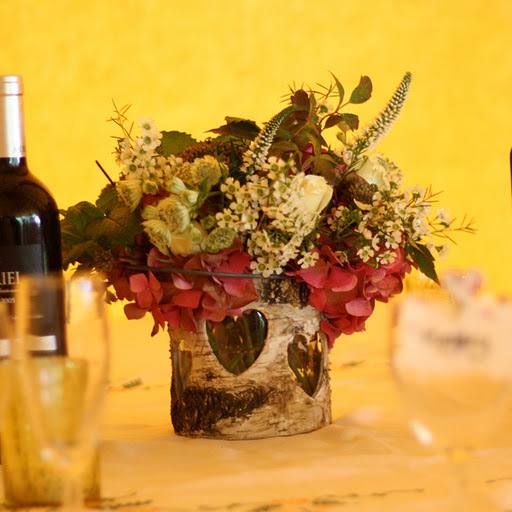 Our mother and daughter combination together with our boundless energy will transform your wedding day.